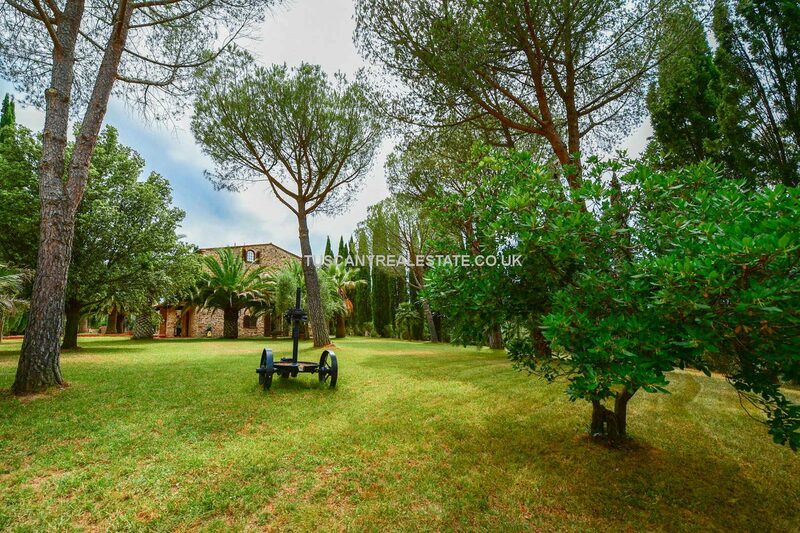 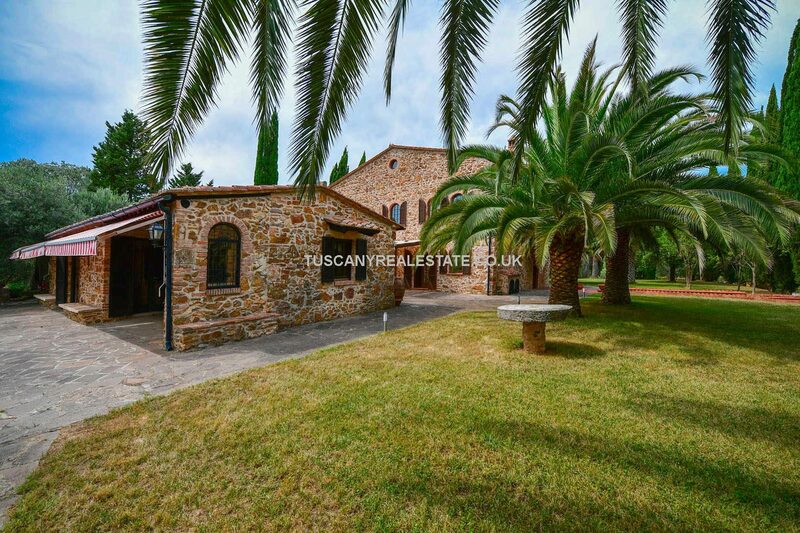 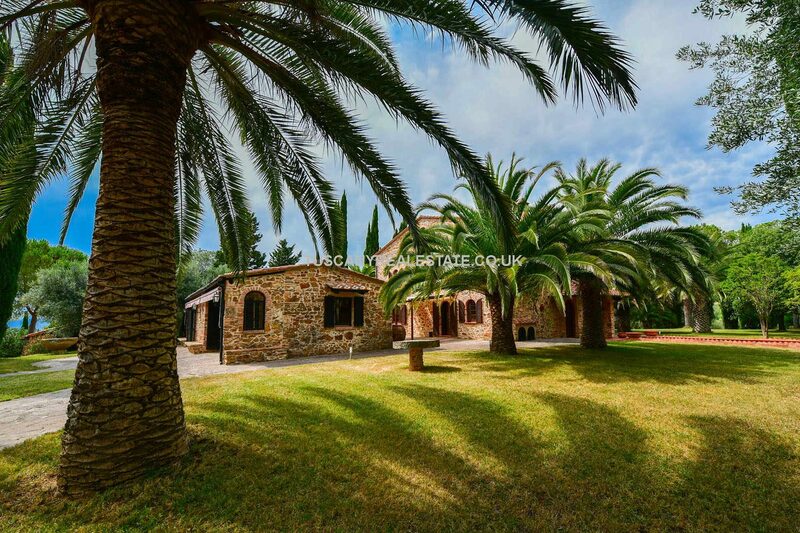 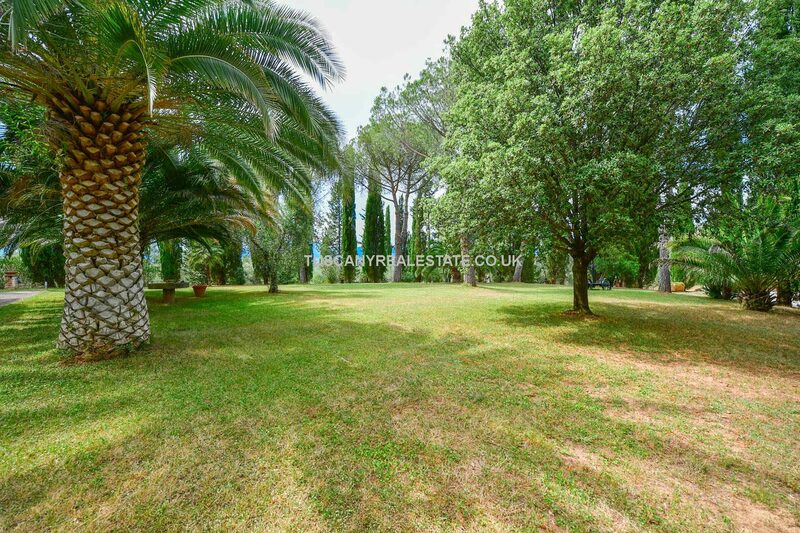 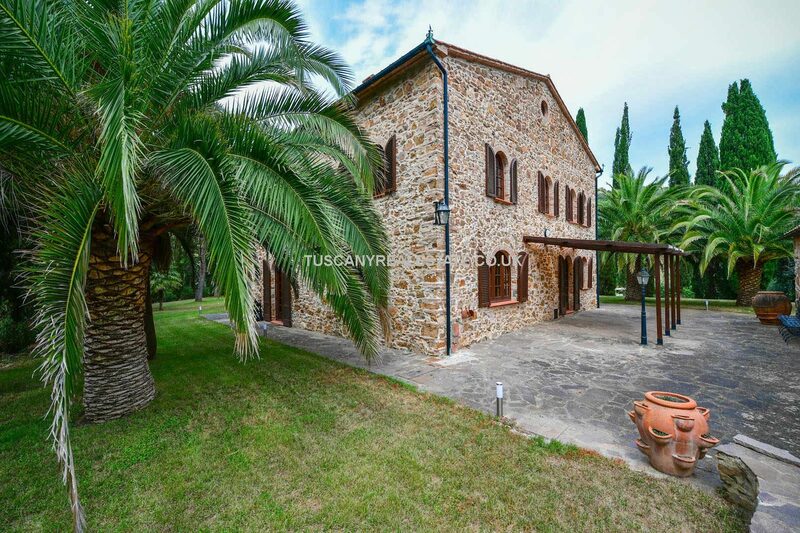 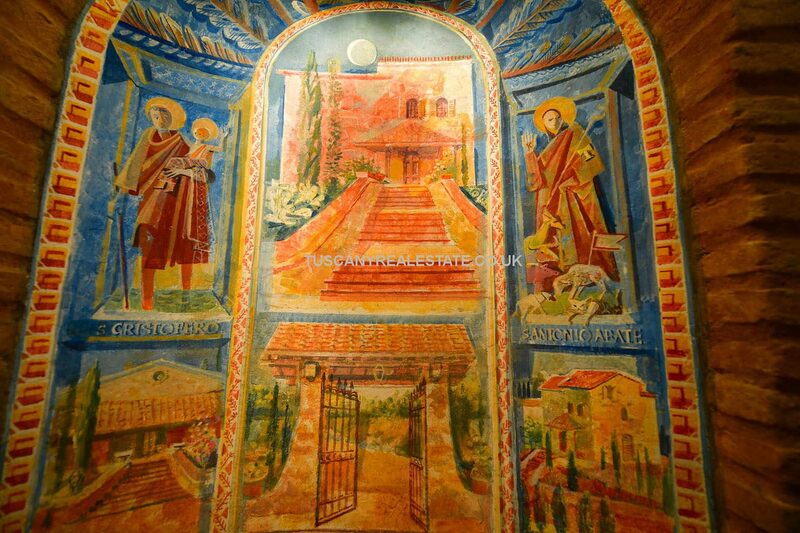 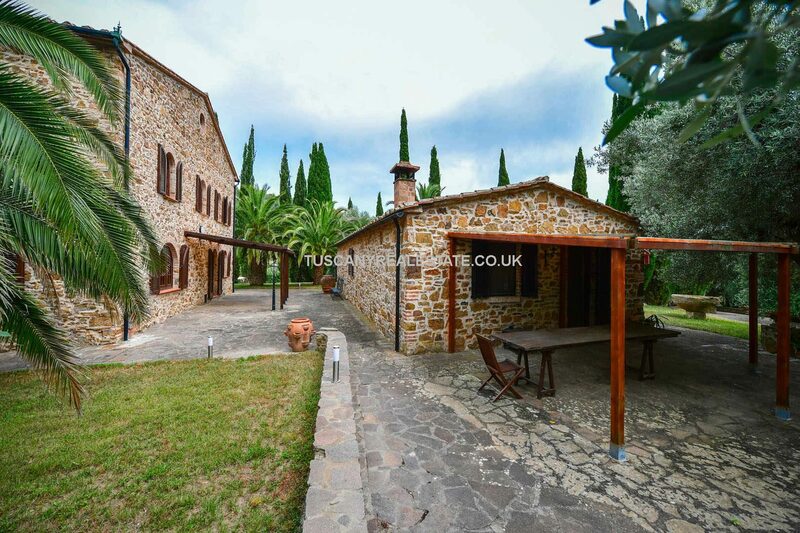 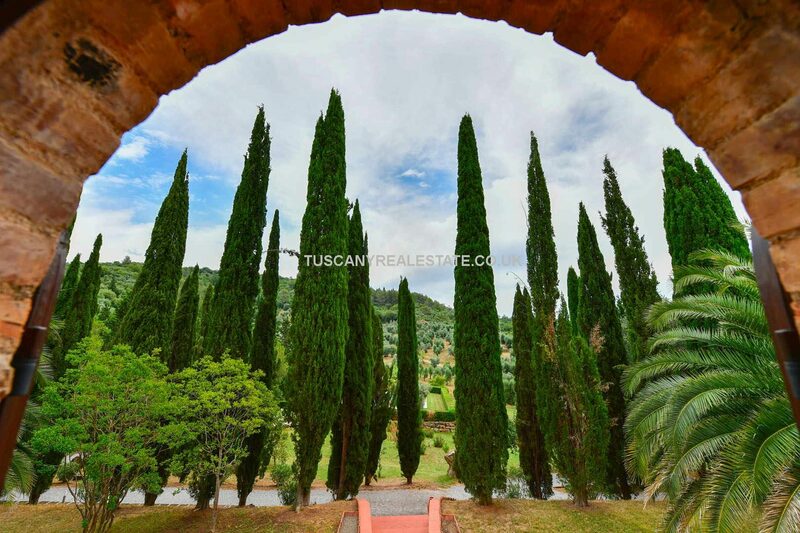 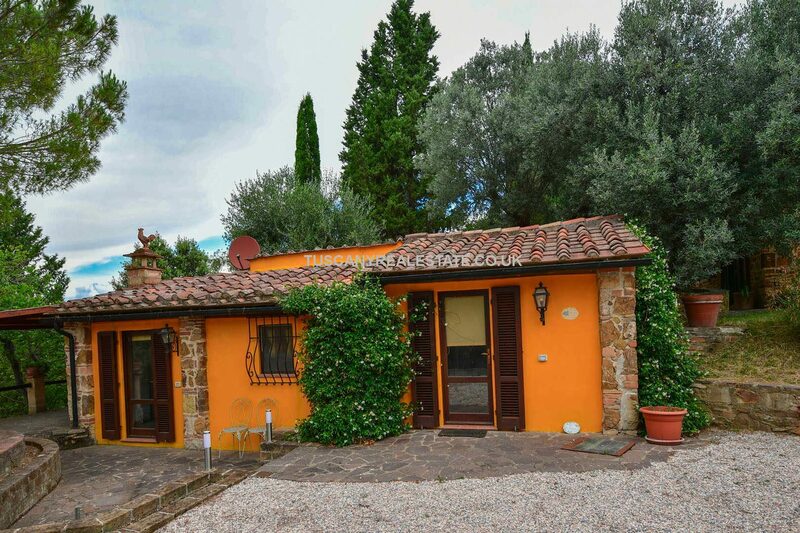 Tuscan estate with houses, apartments, land, olive groves and pool. 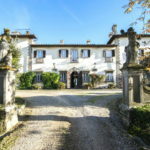 Ideal touristic, holiday accommodation. 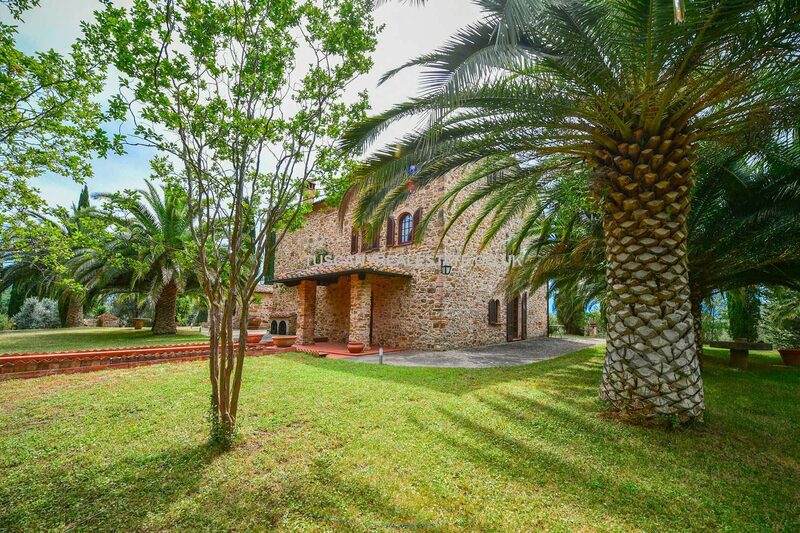 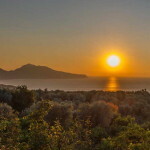 Countryside location, a short drive to sea and beaches, at the edge of the Montioni Natural Reserve. 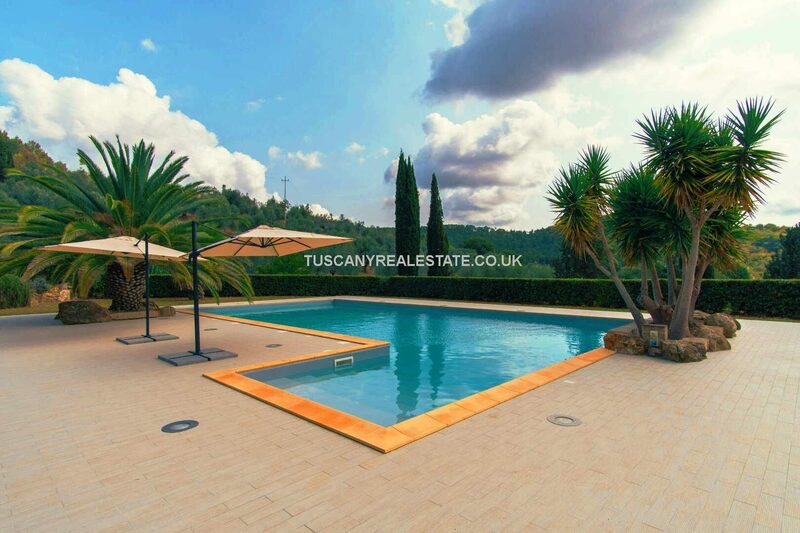 Tuscan estate with houses, apartments, land, olive groves and pool. 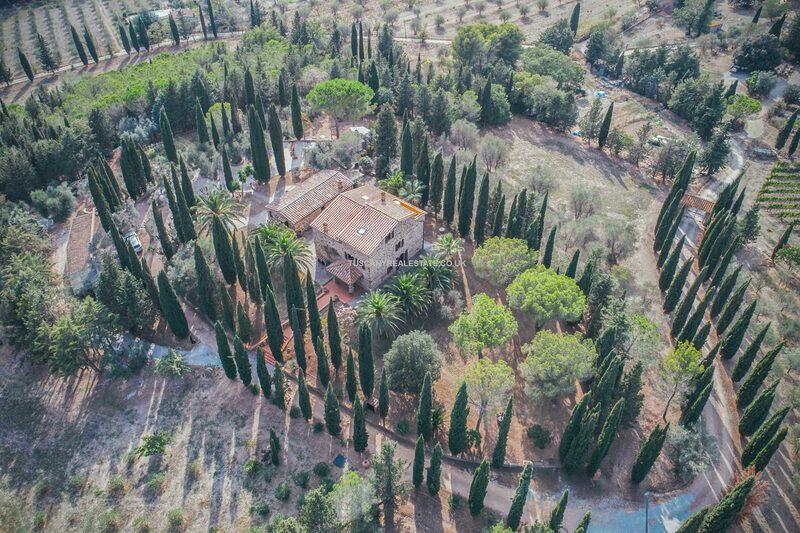 Suvereto Livorno Tuscany. 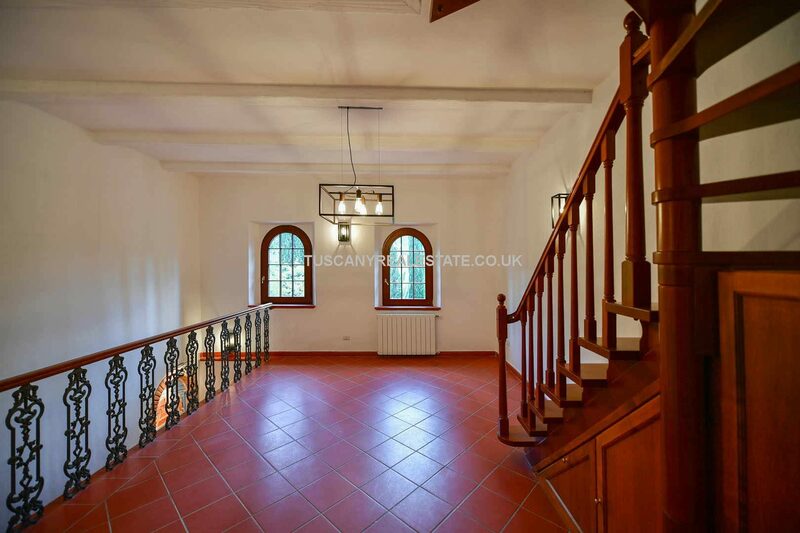 – Second floor: kitchenette, dining room, storage room, double bedroom with balcony and bathroom. 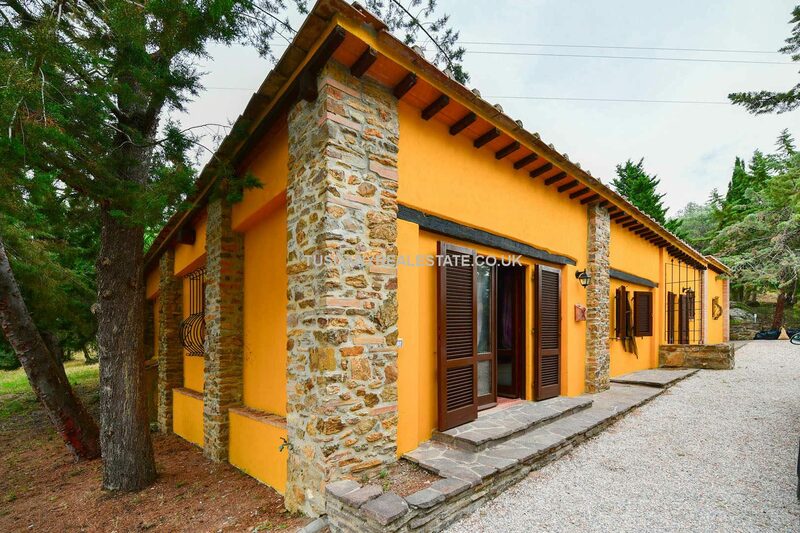 House One, currently used as the owner’s house (70 sqm – 753 sqft) is located right next to the villa and is laid out over a single floor including kitchen, living room, double bedroom and bathroom. 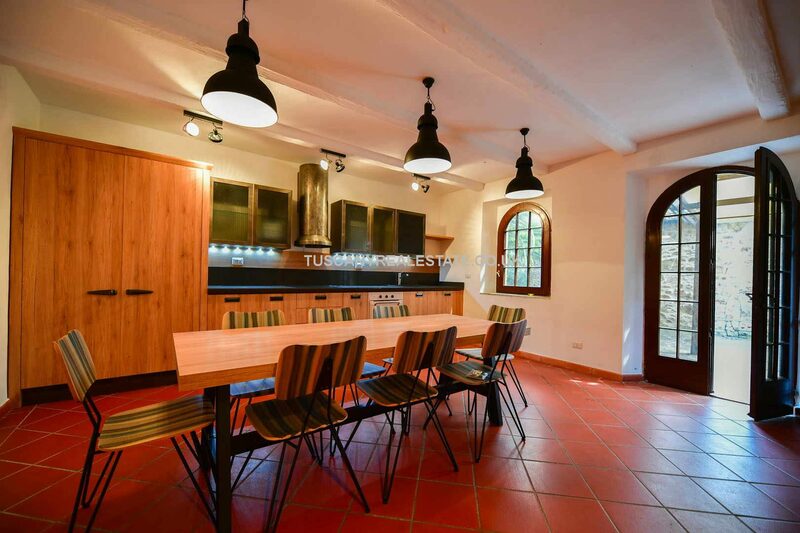 The building is equipped with a nice BBQ area. 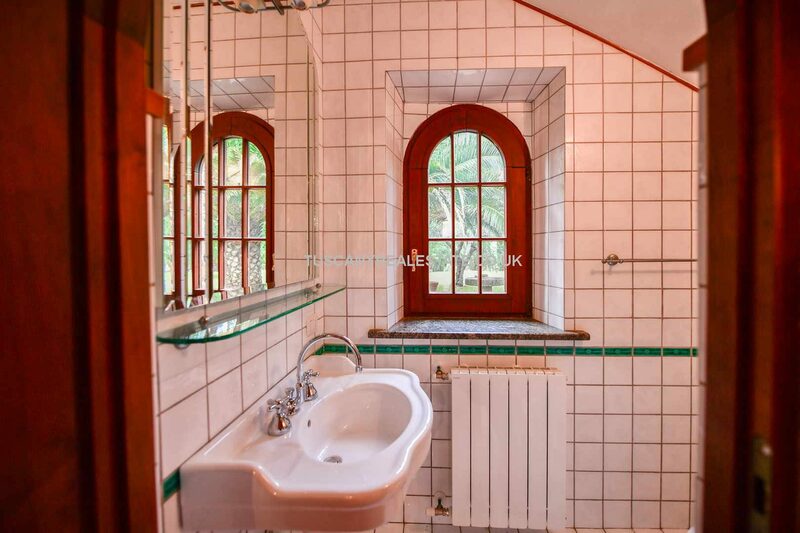 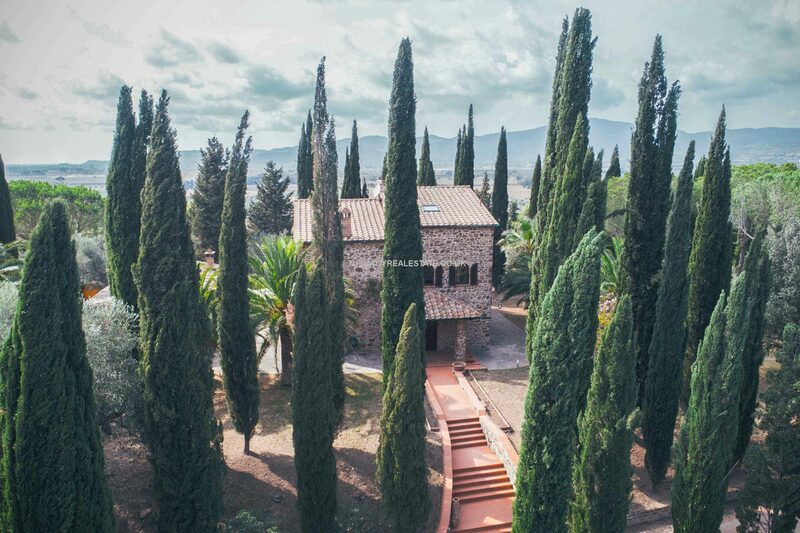 House Two, currently used as the keeper’s house (40 sqm – 430 sqft) is located just next to the hunting lodge and is laid out on a single floor too including kitchen, living room laundry room, bedroom and bathroom. 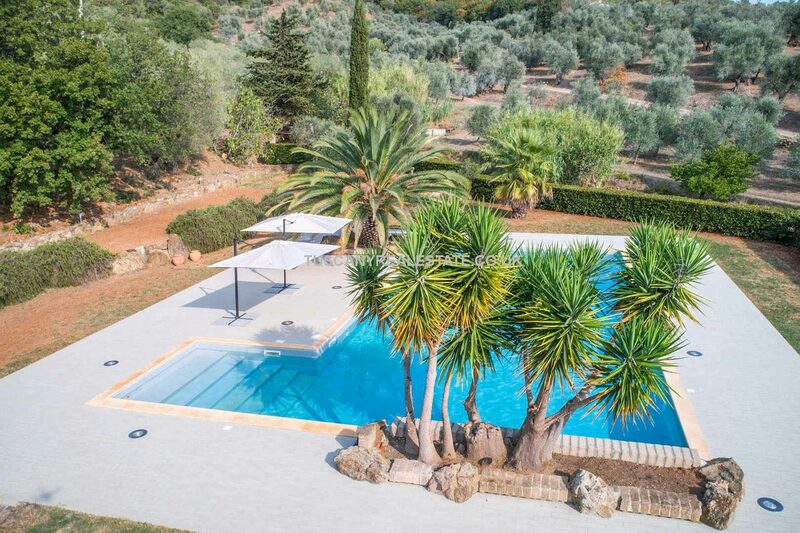 House Three, currently used as the guest house (130 sqm – 1,399 sqft) is located right next to the pool and is split into two independent apartments sharing a laundry room. 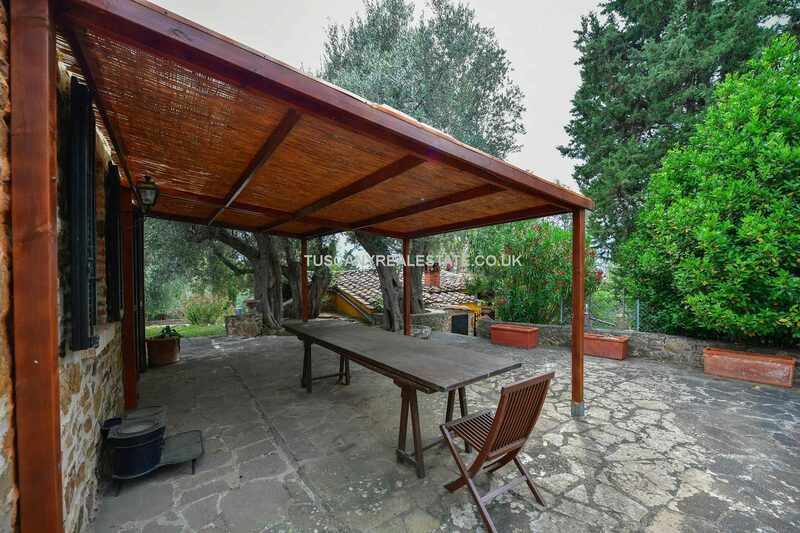 The house boasts a private secluded patio. 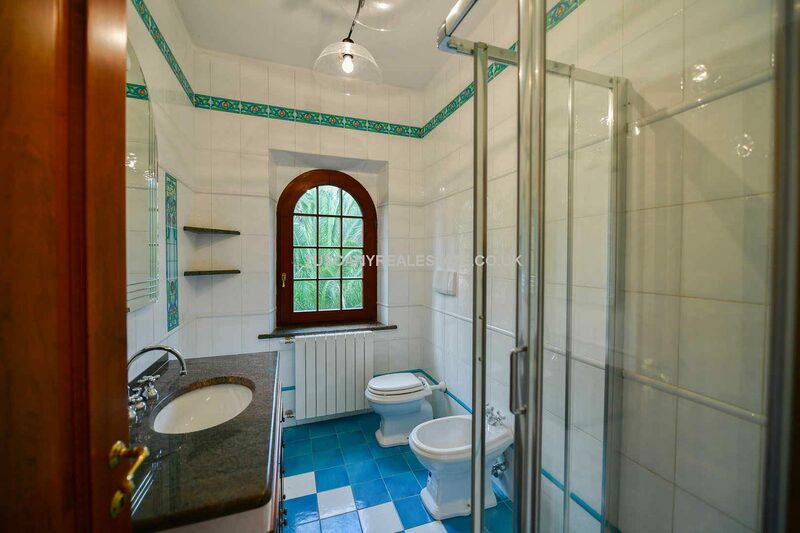 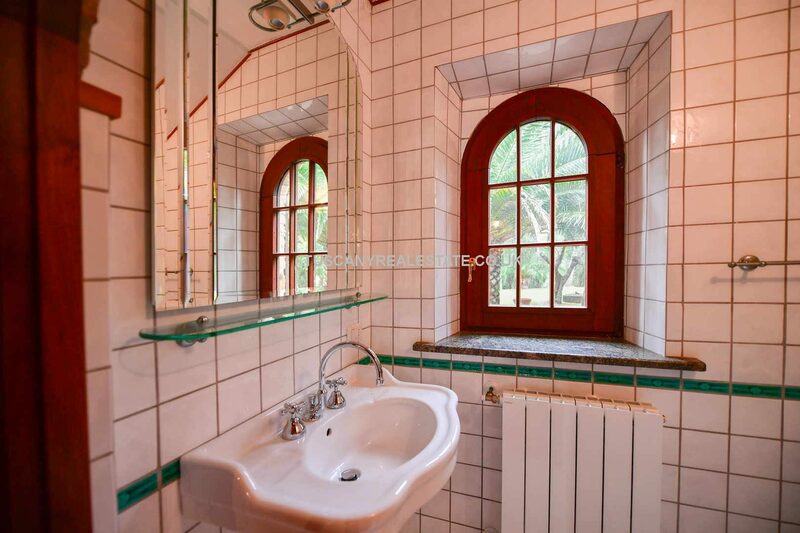 – Apartment N°2 (87 sqm – 936 sqft): kitchenette, living room, two double bedrooms and two bathrooms. 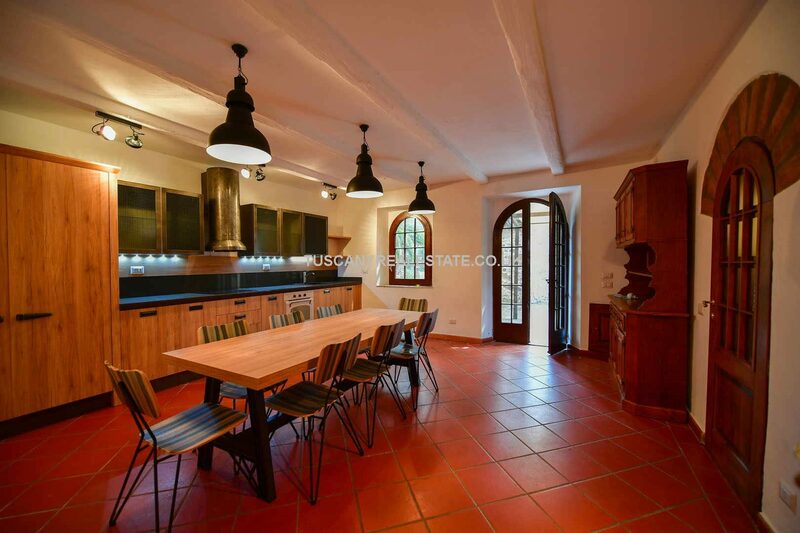 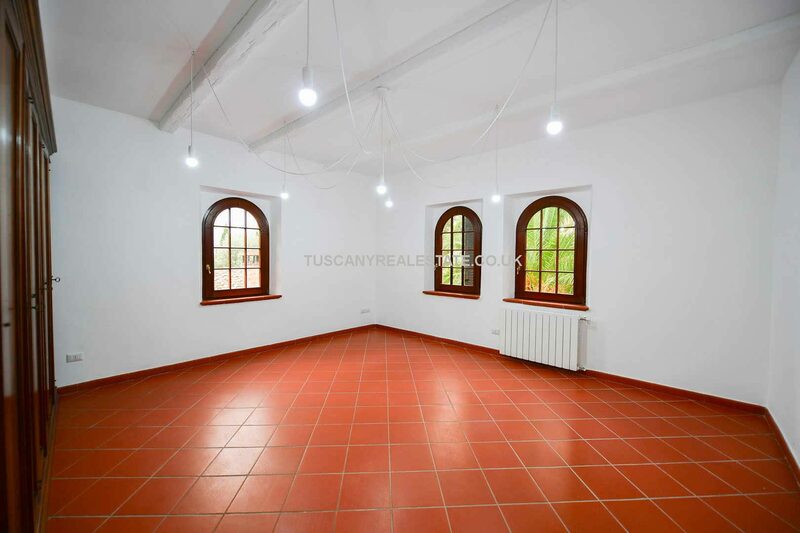 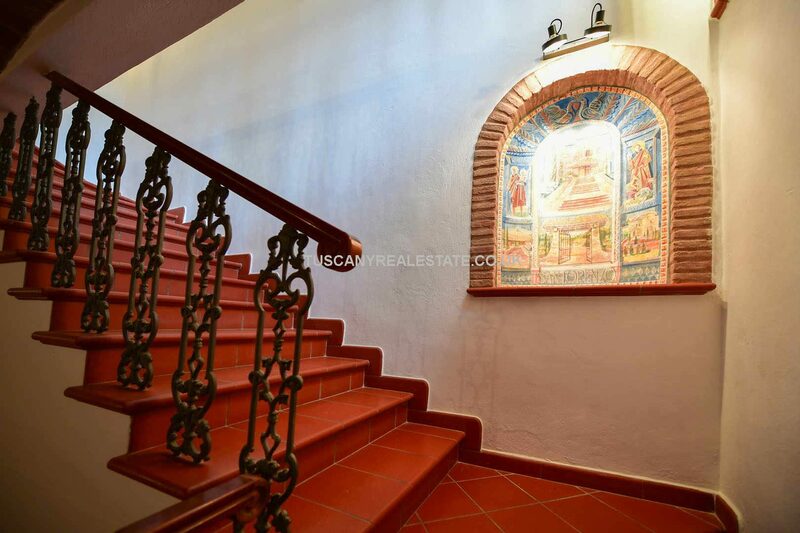 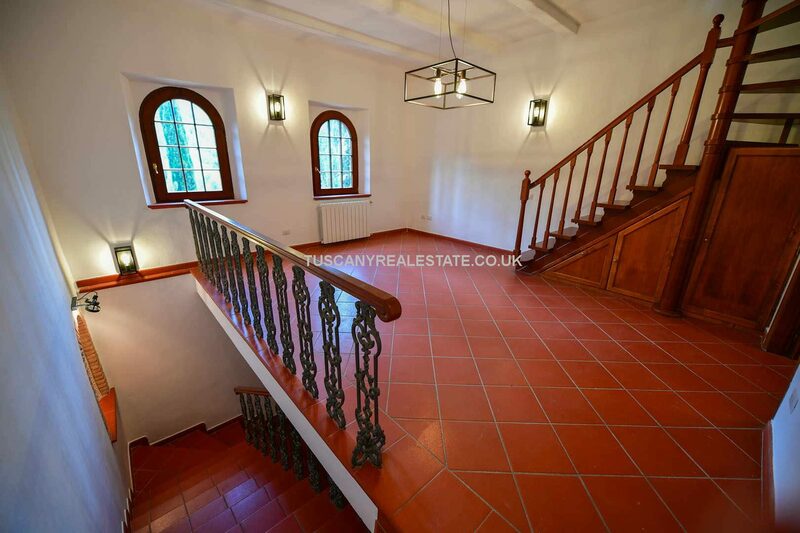 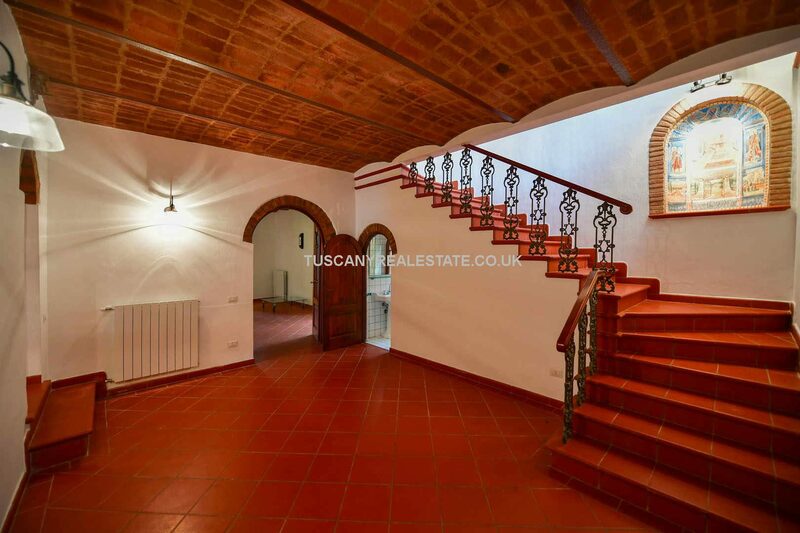 The property has been carefully restored and maintained, amongst the typical characteristics of the building are wooden beams, stone walls and brick elements. 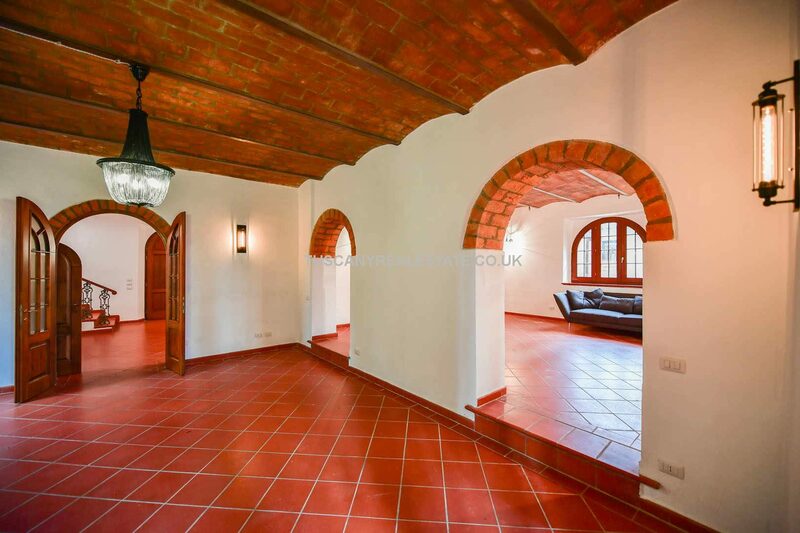 Floors are covered in terracotta and ceramic (mainly in the bathrooms). 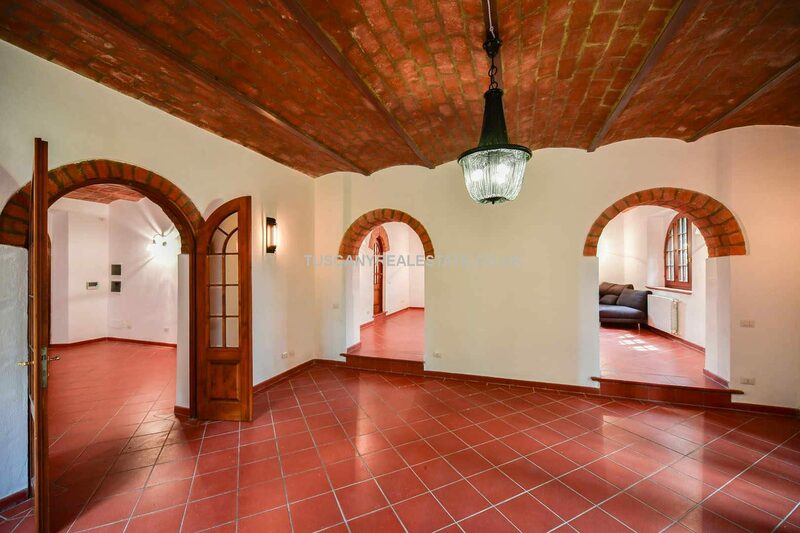 Interiors are interesting as they strike an interesting contrast between white (walls) and red elements, meaning the floors, brick elements and wooden fixtures are tinged with reddish details. 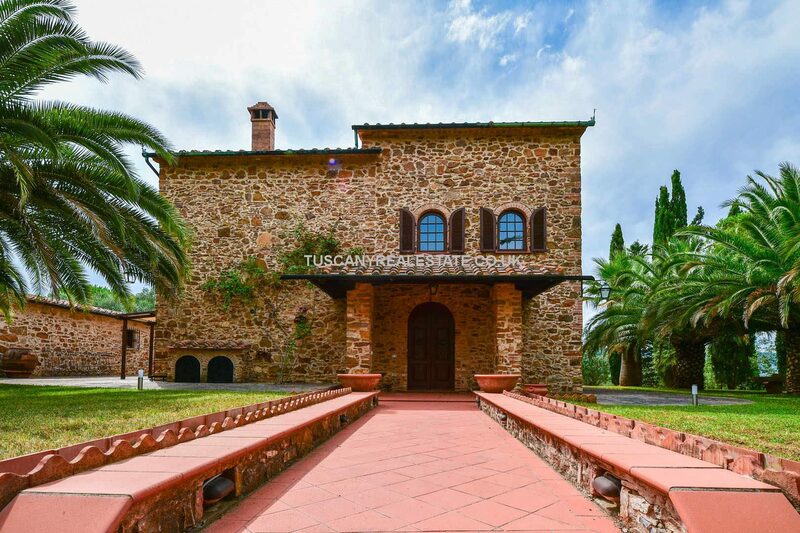 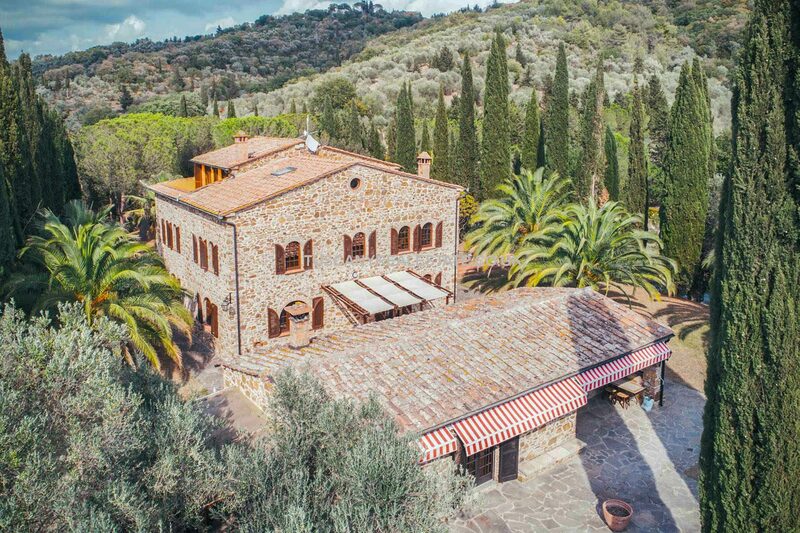 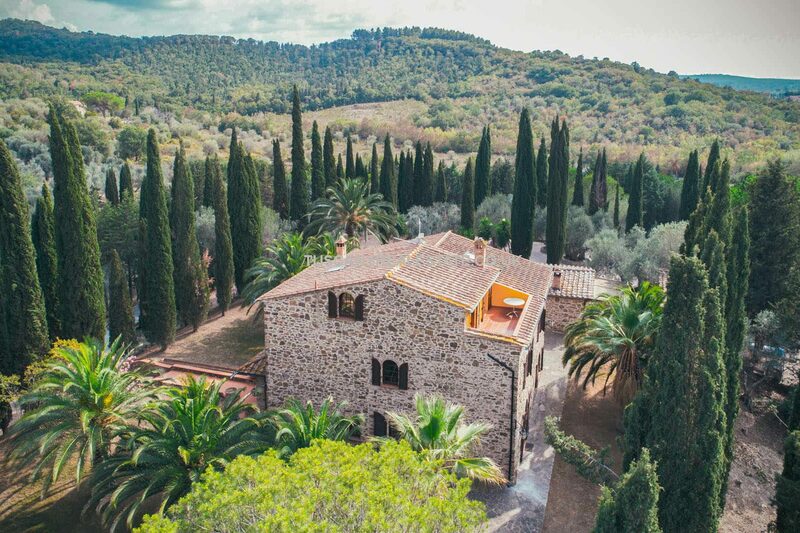 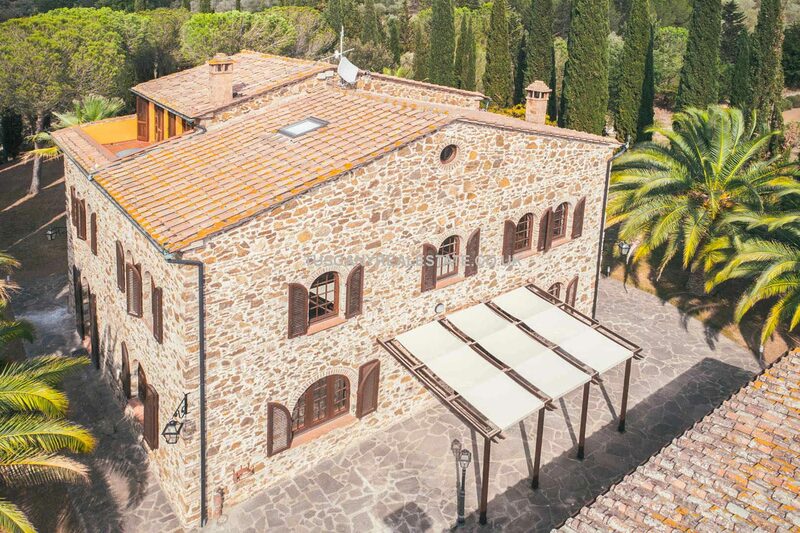 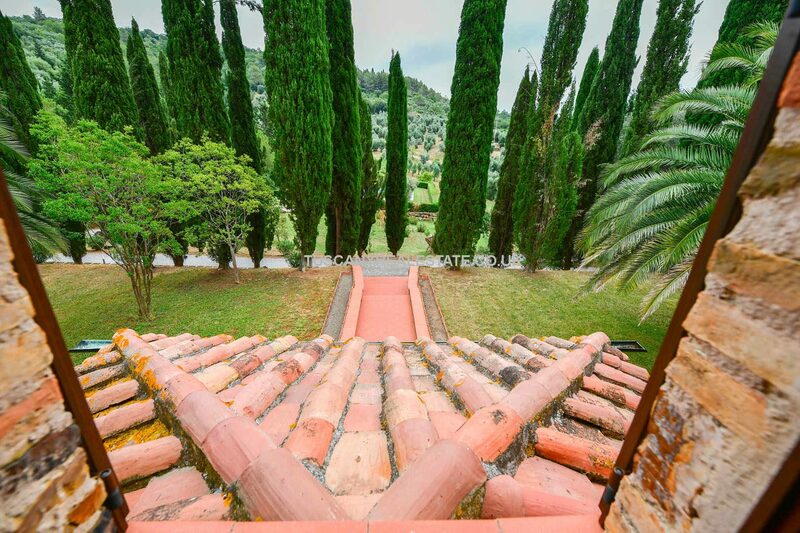 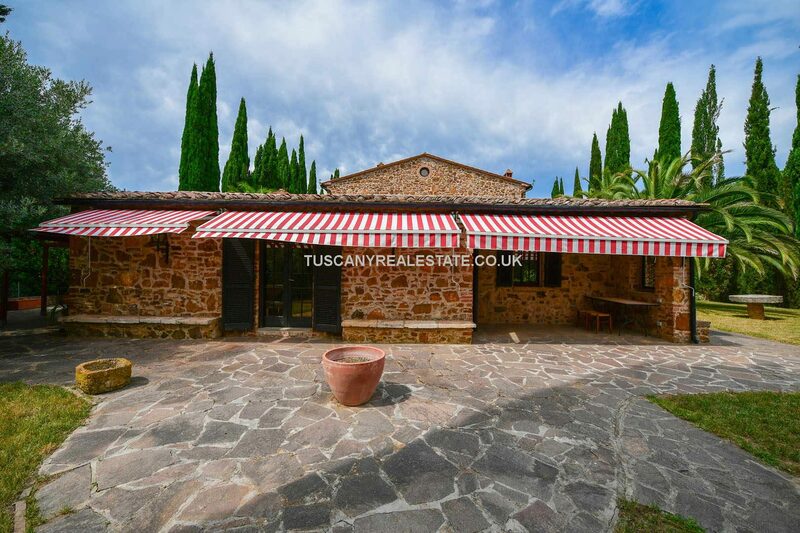 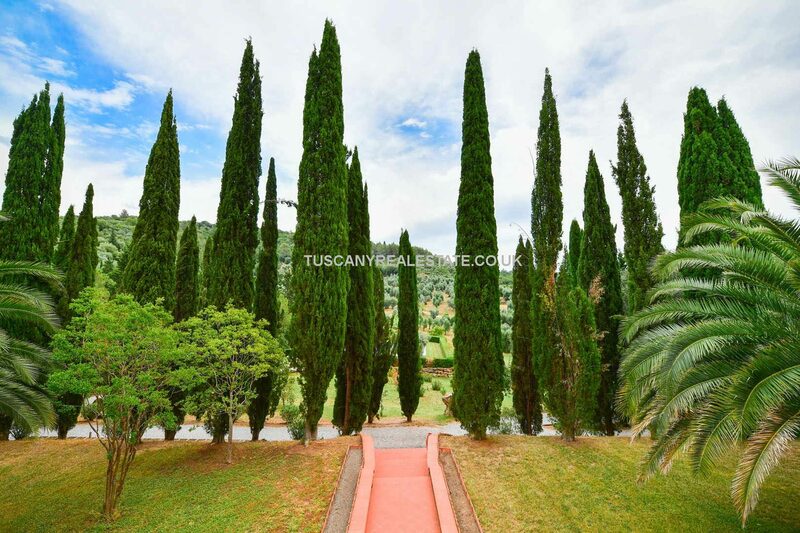 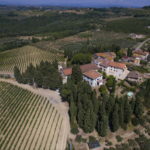 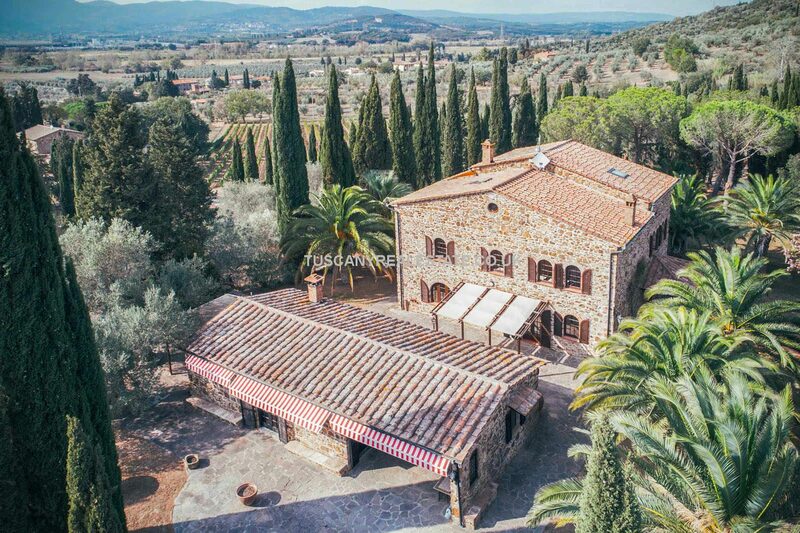 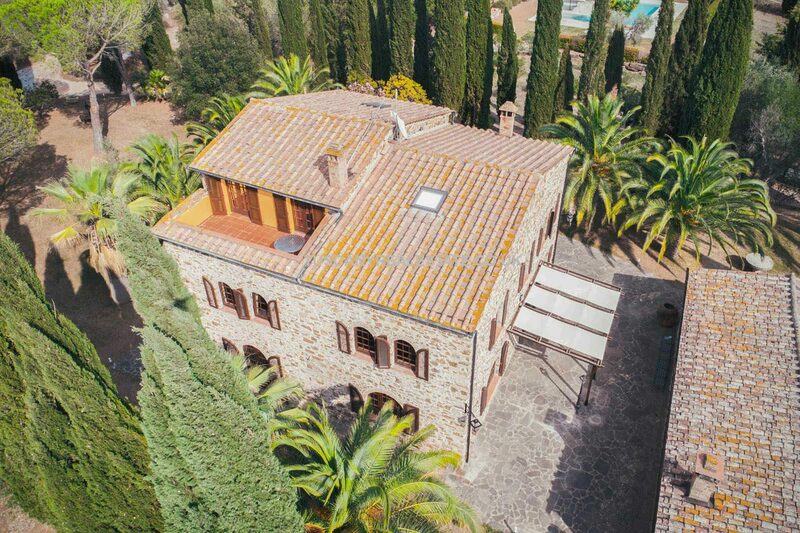 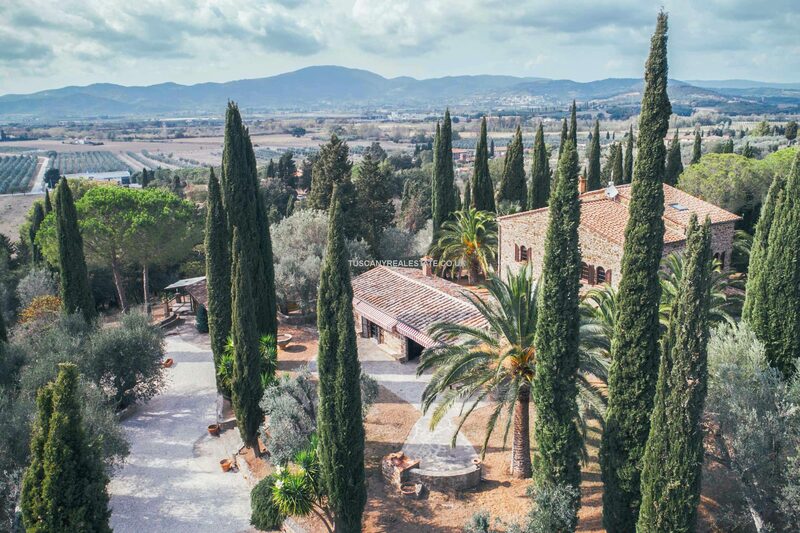 This wonderful Tuscan estate covers roughly 10 hectares of land with an olive grove (900 trees) and fruit orchard. 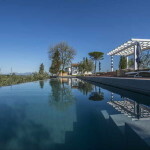 The 16 x 8 m swimming pool is located a little downhill from the main villa, on a terrace surrounded by hedges giving an excellent degree of privacy. 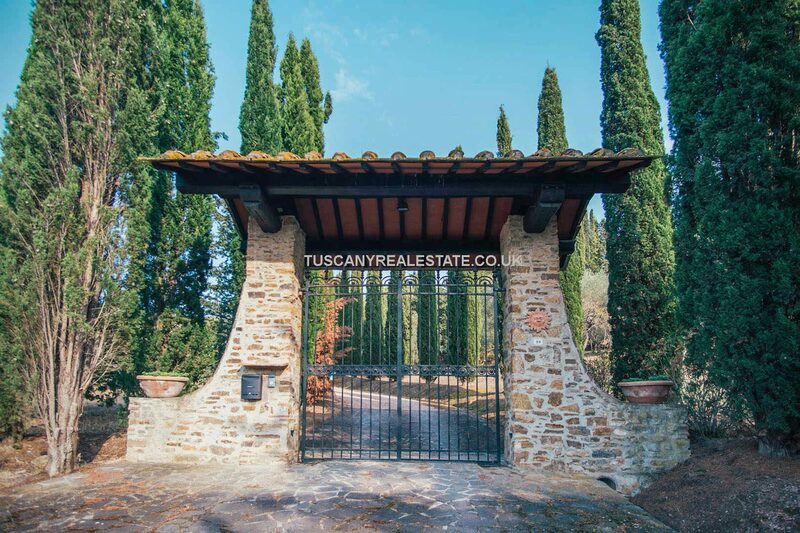 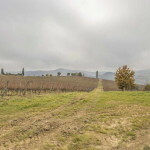 The 10 hectares of land has full privacy and the unique opportunity of fully enjoying the beauty of the Tuscan countryside. 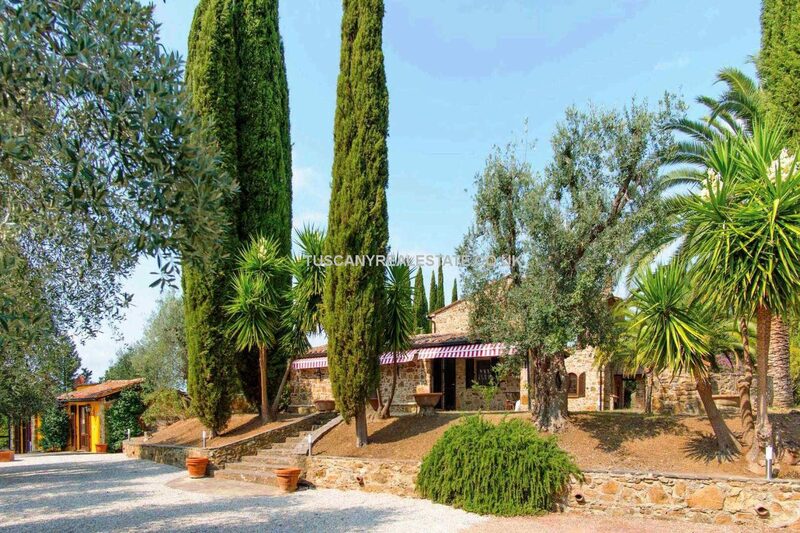 The villa is also well connected to the main road with just a short 80 m of private unpaved road. 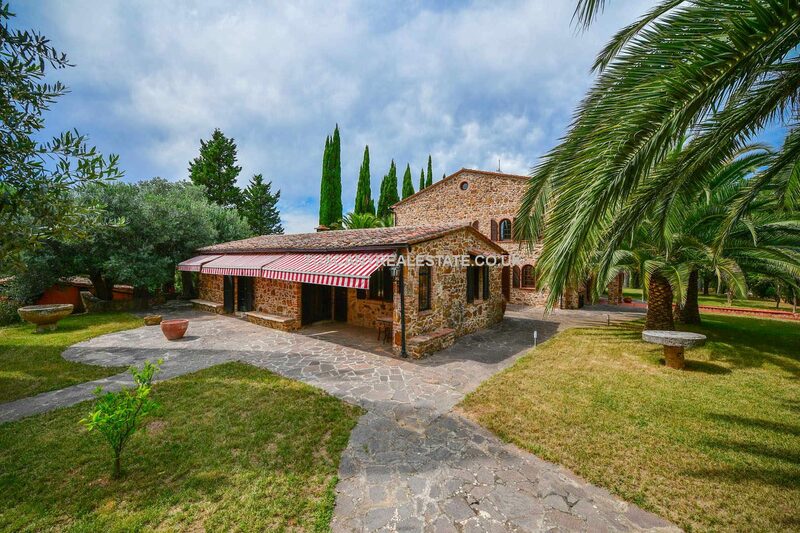 A property which is ideal as a luxury private home or to capitalise on the home and international tourist market. 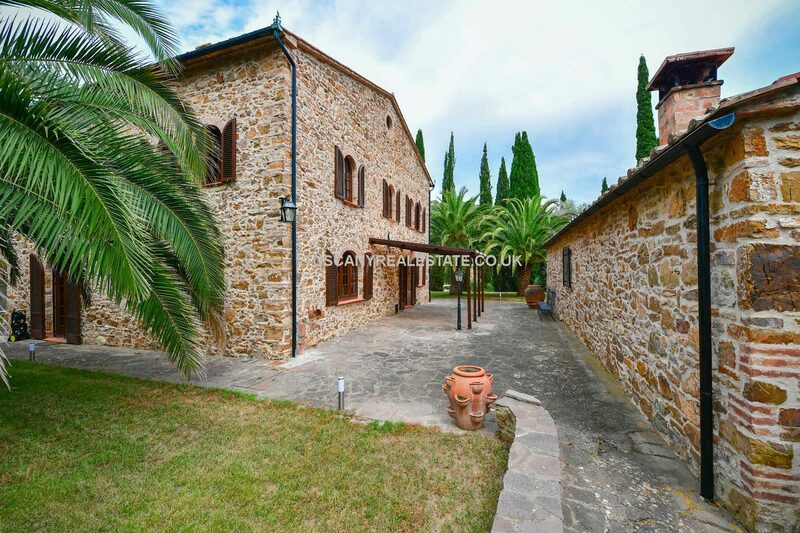 If you would like further information or would like to view this property, please fill in the form below. 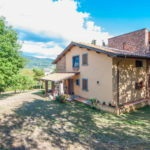 We have lots of properties which are not yet listed on the website. 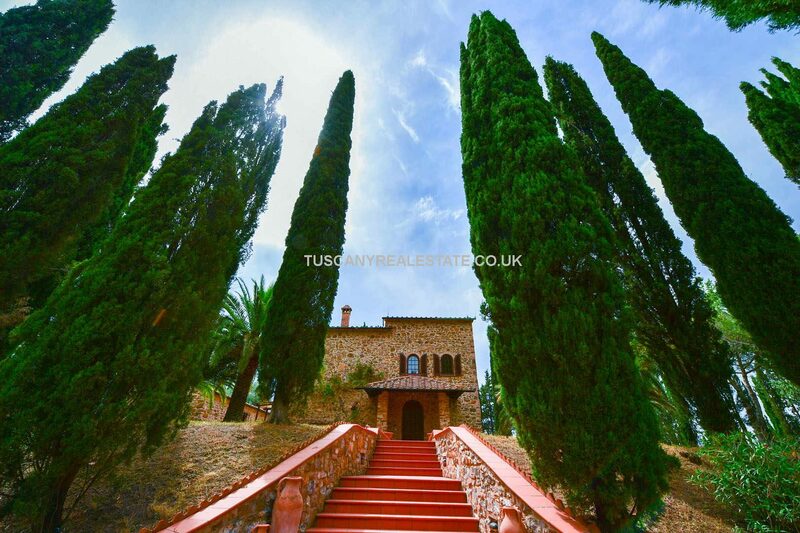 Fill in the form below and we will advise and update you on suitable properties.